There are three ways to participate in this event. 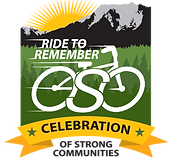 There will be a 28 mile bike ride from Arlington to Darrington, a 6 mile trail ride on the Whitehorse Trail, and community events in Darrington. A prominent list of community organizations and businesses are sponsoring this fine event. Check it out.